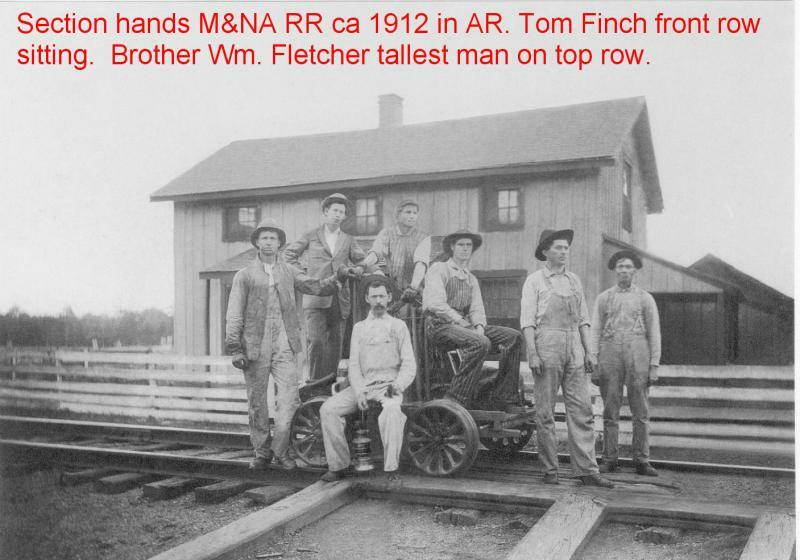 Comments: Thomas M. Finch (Nee: ) | AR USA | 1901-1920 | Comments: Old Section Crew M&NA RR. Tom Finch front in light overalls, brother Wm. F. Finch, back row far left.